It is Writer Wednesday here at Girl Who Reads and I'm happy to welcome Courtney Harvey. 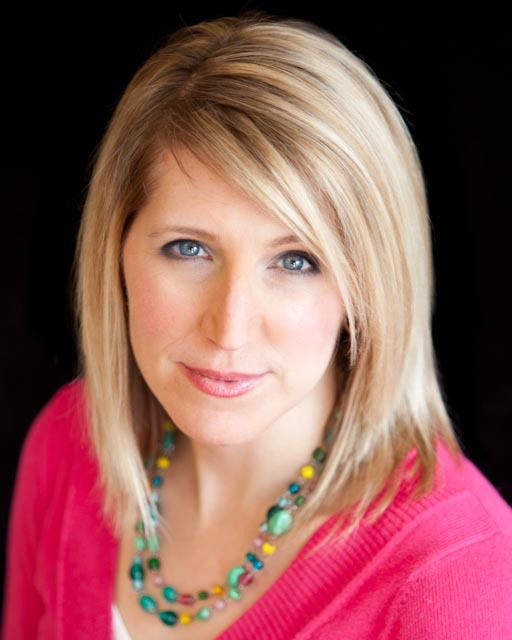 Courtney is a K-8 Art teacher who lives in Bangor, Maine with her husband of 12 years and three daughters. 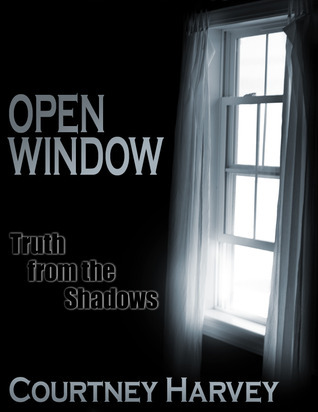 Open Window: Truth From the Shadows is her debut novel, and part of the Open Window Trilogy. You can connect with Courtney on Twitter and Facebook. So What Have You Learned, Dorothy? Here I am, a 36 year old busy mom of three lovely daughters with an amazing husband. Not long ago, I was cruising through life as an Art Teacher, not looking for a career change. I love experiencing art in all of its forms – visual art, music, theatre, writing – it gets in my soul and makes remember why I’m alive. I’ve always been this way - spending my time as a kid drawing pictures, begging for painting lessons or piano lessons, or writing stories and poetry. I have notebooks filled with inspirational words and phrases, poems and stories, children’s books waiting for illustration. I never knew it could be an option in my life, I just knew it was something I loved to do. At the core of it all, I am an artist, in one way or another. But with such a crazy schedule, there was little time for it all. And then came one of the busiest falls of my life. I was working three jobs at the time plus shuffling my girls to and from soccer practice, dance classes, theatre rehearsals. I thought it would be a great idea to finish up a graduate degree I started 10 years earlier. Why not? I’ve got nothing better to do, right? So add researching and writing a thesis on top of the already crazy schedule and you had my life in a nut shell. So what does an artist do when she has a gazillion other things to do? She ignores it all and creates - whether she has time to or not. She forgets that her life had a plan, and follows her heart to learn something new about herself. And that is when the idea for “Open Window” started haunting me. In addition to interests in the arts, I love all things spooky. Ghost hunting, mediums, spirit guides - I find it all fascinating. To be honest, I have a touch of psychic ability myself, though I have little control over it and it is very sporadic. But it is there nonetheless, and that is how the concept for “Open Window” came to me. People always ask me about inspiration and how the story develops and what do I think before I start. With this story, it literally came to me overnight. The background knowledge of the paranormal was there, because I’d spent my life researching and living it, but suddenly there was a plot and some twists and characters swirling in my head. I couldn’t focus on anything else and I had to get the story down. I had no choice in the matter. And once I started writing, I couldn’t stop. It was like all the years as a kid came back to me; all the joy I had felt writing before was remembered. I wrote it for me, and it felt great. A year later, I had a novel. Did I intend for it to happen? Goodness, no. But I feel like it was some cosmic way of waking me up again, letting me know that this is what I’m supposed to be doing. Something was telling me that now, at 36 years old, I still have lots to learn about myself. I have learned that I love writing paranormal stories, and I have many more to come. I have gone from someone who wrote for fun when the muse struck to someone who can think of little else except writing. I have come to discover that when I write, these characters become real to me – I form a relationship with them and I understand who they are, what they want, where they are going – and I can’t write about them or for them until they settle into my understanding. I have learned what my writing process is, how my ideas evolve, how to work through the outlines, how to let the story grow on its own when necessary, and how to fix bad habits and improve my skill. And above all, I have learned how to teach my daughters that you can have a dream, maybe one you didn’t even know existed, and you can go for it. Now that I have set the writer’s wheels in motion, I can’t stop. I am finishing the second part to “Open Window” which will be out by the fall of this year, and a third in the trilogy will follow. I thank everyone who has taken a chance on an unknown writer, for giving me tremendous feedback, and for coming along this crazy journey with me! From Courtney Harvey comes a debut novel about Alex Wells, who from afar appears as a typical high school senior, yet whose dreams invade her mind in a way that is anything but typical. Nighttime visits from long passed relatives are commonplace. Questioning her sanity, she struggles inside self-inflicted walls, hiding her secret from the world. As she reluctantly comes to terms with her ever-increasing psychic abilities, the latest dream of a young stranger’s violent suicide has Alex spinning out of control. While attempting to take charge of her life, she is compelled to uncover his story, forcing her to face her own fears and follow him on his journey to seek redemption. As her family and friends watch her spiral into a well of despair, she refuses to give up seeking out his truth, no matter the cost. It may only be the new boy in school who can lift her from the depths of self-destruction, but he too has a secret to hide. Find Open Window: Truth from the Shadows at Goodreads and Amazon. The Writing Life Part 2: What Does a Writer Do?